Molten Strike is the best Melee skill in Path of Exile. It grants very good AoE Damage and clear speed, as well as it provides insane single-target DPS. It has been one of the most popular skills for quite some time now, and now we have decided to make a sturdy Starter build for Patch 3.5 and the Betrayal League. Gladiator is a very durable class and provides unparalleled defenses with high Life, Armour Rating, and over 70% Block Chance that applies to both Attacks and Spells. On top of that this build utilizes Arctic Armour, Enfeeble curse and insane Life and Mana recovery per second. With all the recommended gear you can easily manage to create nearly 100 Molten Strike projectiles. This is a very powerful and Tanky build which is designed to facetank any opponent in the game. With high Life and Physical Damage mitigation, it is also a very efficient Uber Labyrinth farmer and can earn you a lot of money early on in the League. With all the required items, you should be able to reach approximately 12 Attacks per second, creating about 8 Molten Strike projectiles each (even more with Grelwood Shank swords). Each of the balls will recover your Life and Mana thanks to the Poacher's Mark Curse, granting instant recovery and nearly immortal status. On top of that, you will have over 70% Block Chance, Endurance Charges, Frenzy Charges, over 70% Physical Damage mitigation, and on top of that, permanent Enfeeble Curse Aura. This build can be played with either Grelwood Shank Swords (more balls, lower DPS) or Nebuloch Elder Maces (fewer projectiles, over double the DPS of each projectile). With any weapon type, the Skill Tree is the same, except for the Point Blank Passive which you can skip when using Grelwood Shank. Molten Strike is a skill that you will be using right from the start. It is a reward from the first quest in the game. In general, leveling is very easy, Gladiator provides very good defenses right from the start via Block mechanic. You just have to follow the Leveling Skill Trees below and focus high Life, Elemental Resistances on rare equipment and high Physical DPS on Weapons. Poacher's Mark - grants nearly instant full Life and Mana recovery, what else do you need to make this char immortal? 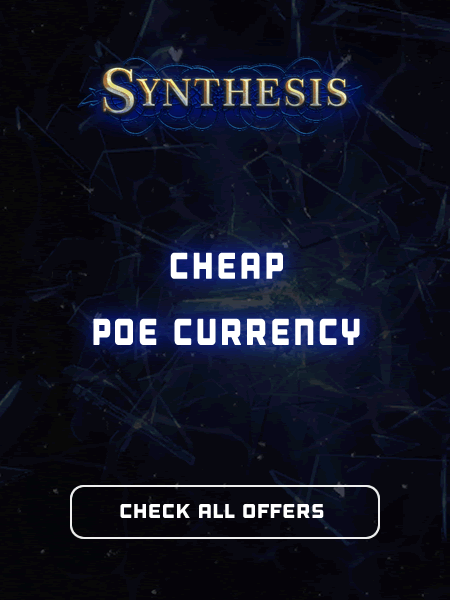 Also, if you are looking to buy PoE Orbs with real cash we would like to invite you to visit our PoE Marketplace. On Odealo you can buy, sell, and trade Orbs and Unique items.